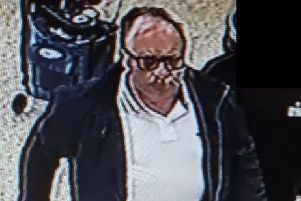 Lincolnshire Police are appealing for the public’s help in identifying two people they believe could assist them with an investigation into the theft of meat. The theft from the Co-Op store, in Nettleham, was reported to Lincolnshire Police on Sunday, October 21. If anyone has any information, call 101 quoting reference number 18000 508 492. Alternatively email force.control@lincs.pnn.police.uk putting the reference number in the subject box or call Crime Stoppers anonymously on 0800 555 111.